In life on earth we still do search for personal happiness on earth and for the acceptance of others too.. God’s happiness and His acceptance is all we need. 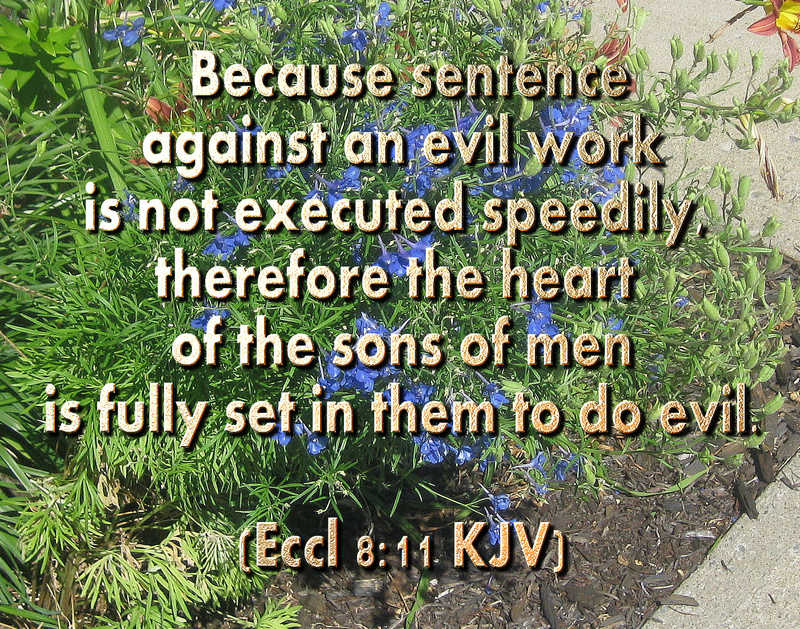 (Eccl 8:11 KJV) Because sentence against an evil work is not executed speedily, therefore the heart of the sons of men is fully set in them to do evil. .
and because a sentence of judgment has yet not been personally carried out by God, experienced by the sinner the intent of man is still to do wrong.. Note this clearly stipulates that only the children have to obey their own parents, once you become an adult, your are directly personally accountable ultimately now to God continually.. (Rom 6:22 KJV) But now being made free from sin, and become servants to God, ye have your fruit unto holiness, and the end everlasting life. (Psa 12:1 KJV) Help, LORD; for the godly man ceaseth; for the faithful fail from among the children of men. 2 They speak vanity every one with his neighbour: with flattering lips and with a double heart do they speak. 3 The LORD shall cut off all flattering lips, and the tongue that speaketh proud things: 4 Who have said, With our tongue will we prevail; our lips are our own: who is lord over us? 5 For the oppression of the poor, for the sighing of the needy, now will I arise, saith the LORD; I will set him in safety from him that puffeth at him. 6 The words of the LORD are pure words: as silver tried in a furnace of earth, purified seven times. 7 Thou shalt keep them, O LORD, thou shalt preserve them from this generation for ever. 8 The wicked walk on every side, when the vilest men are exalted. (James 3:5 KJV) Even so the tongue is a little member, and boasteth great things. Behold, how great a matter a little fire kindleth! (James 3:8 KJV) But the tongue can no man tame; it is an unruly evil, full of deadly poison. (1 John 3:18 KJV) My little children, let us not love in word, neither in tongue; but in deed and in truth. These are clearly demonic induced persons who are sent to us by the devil.. we have to see it as this and pray that the devil will stop doing this… by the blood and name of Jesus we all as Christians have this right to demand him to stop… cause the devil will just send another person like that, and another and another.. to abuse us.. Even some of the Christians Corinthians WERE sexually immoral, idolatrous, homosexuals, etc. but some of them they are not now like that. Apostle Paul had said these unrepentant professing Christian people were to be severely negative deal with now, so they would repent… given fully even over to Satan and why too (1 Cor 5:5 KJV) To deliver such an one unto Satan for the destruction of the flesh, that the spirit may be saved in the day of the Lord Jesus… and some other Christian persons still did not or do not repent. (Mat 5:11 KJV) Blessed are ye, when men shall revile you, and persecute you, and shall say all manner of evil against you falsely, for my sake. 12 Rejoice, and be exceeding glad: for great is your reward in heaven: for so persecuted they the prophets which were before you. (Mat 10:25 KJV) It is enough for the disciple that he be as his master, and the servant as his lord. If they have called the master of the house Beelzebub, how much more shall they call them of his household? 26 Fear them not therefore: for there is nothing covered, that shall not be revealed; and hid, that shall not be known. 27 What I tell you in darkness, that speak ye in light: and what ye hear in the ear, that preach ye upon the housetops. 28 And fear not them which kill the body, but are not able to kill the soul: but rather fear him which is able to destroy both soul and body in hell. 29 Are not two sparrows sold for a farthing? and one of them shall not fall on the ground without your Father.30 But the very hairs of your head are all numbered. 31 Fear ye not therefore, ye are of more value than many sparrows. 32 Whosoever therefore shall confess me before men, him will I confess also before my Father which is in heaven. 33 But whosoever shall deny me before men, him will I also deny before my Father which is in heaven. 34 Think not that I am come to send peace on earth: I came not to send peace, but a sword. 35 For I am come to set a man at variance against his father, and the daughter against her mother, and the daughter in law against her mother in law. 36 And a man’s foes shall be they of his own household. 37 He that loveth father or mother more than me is not worthy of me: and he that loveth son or daughter more than me is not worthy of me. 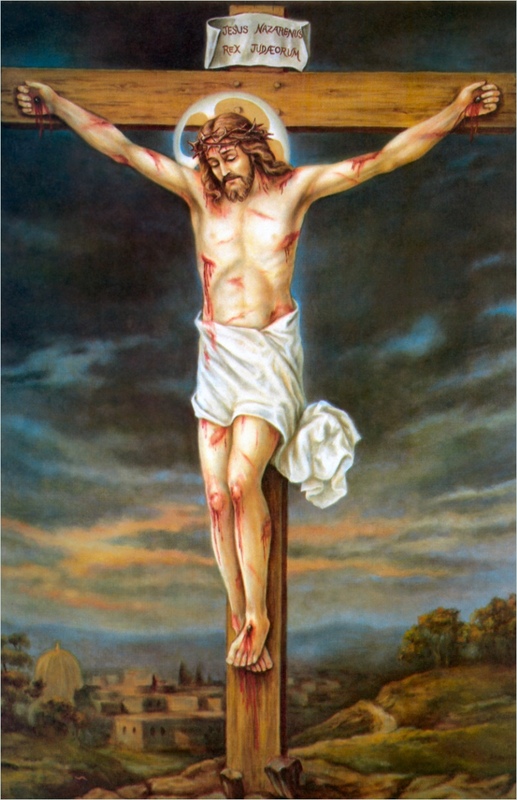 38 And he that taketh not his cross, and followeth after me, is not worthy of me. 39 He that findeth his life shall lose it: and he that loseth his life for my sake shall find it. 40 He that receiveth you receiveth me, and he that receiveth me receiveth him that sent me. 41 He that receiveth a prophet in the name of a prophet shall receive a prophet’s reward; and he that receiveth a righteous man in the name of a righteous man shall receive a righteous man’s reward. 42 And whosoever shall give to drink unto one of these little ones a cup of cold water only in the name of a disciple, verily I say unto you, he shall in no wise lose his reward. (Mat 23:34 KJV) Wherefore, behold, I send unto you prophets, and wise men, and scribes: and some of them ye shall kill and crucify; and some of them shall ye scourge in your synagogues, and persecute them from city to city: 35 That upon you may come all the righteous blood shed upon the earth, from the blood of righteous Abel unto the blood of Zacharias son of Barachias, whom ye slew between the temple and the altar. 36 Verily I say unto you, All these things shall come upon this generation.37 O Jerusalem, Jerusalem, thou that killest the prophets, and stonest them which are sent unto thee, how often would I have gathered thy children together, even as a hen gathereth her chickens under her wings, and ye would not! 38 Behold, your house is left unto you desolate.38 For I say unto you, Ye shall not see me henceforth, till ye shall say, Blessed is he that cometh in the name of the Lord. Both professing Christians and non Christians will persecute you in the flesh cause they do not mind the things of the spirit of God, They will try to discredit you, discourage you from following the lord cause they do not want to do so themselves. (Luke 11:49 KJV) Therefore also said the wisdom of God, I will send them prophets and apostles, and some of them they shall slay and persecute: 50 That the blood of all the prophets, which was shed from the foundation of the world, may be required of this generation; 51 From the blood of Abel unto the blood of Zacharias, which perished between the altar and the temple: verily I say unto you, It shall be required of this generation. 52 Woe unto you, lawyers! for ye have taken away the key of knowledge: ye entered not in yourselves, and them that were entering in ye hindered. Don’t accept the false persecution, and don’t stay around trying to argue, fight with them.. that is the Holy Spirit’s job and not yours too..
(Acts 9:29 KJV) And he spake boldly in the name of the Lord Jesus, and disputed against the Grecians: but they went about to slay him. 30 Which when the brethren knew, they brought him down to Caesarea, and sent him forth to Tarsus.31 Then had the churches rest throughout all Judaea and Galilee and Samaria, and were edified; and walking in the fear of the Lord, and in the comfort of the Holy Ghost, were multiplied. (Luke 12:1 KJV) Beware ye of the leaven of the Pharisees, which is hypocrisy. 2 For there is nothing covered, that shall not be revealed; neither hid, that shall not be known. it is really bad enough that Satan is already present amongst us but he will also still work to enlarge his influence, presence in the church, through professing Christians as well.. as he had used the Apostle Peter and Apostle Judas to try to do so with Jesus now as well. If he Satan cannot get to you himself he will send someone close to you to do it..(Mat 16:23 KJV) But he turned, and said unto Peter, Get thee behind me, Satan: thou art an offence unto me: for thou savourest not the things that be of God, but those that be of men. 24 Then said Jesus unto his disciples, If any man will come after me, let him deny himself, and take up his cross, and follow me. (Psa 27:10 KJV) When my father and my mother forsake me, then the LORD will take me up. (Mat 10:35 KJV) For I am come to set a man at variance against his father, and the daughter against her mother, and the daughter in law against her mother in law. (Mark 10:29 KJV) And Jesus answered and said, Verily I say unto you, There is no man that hath left house, or brethren, or sisters, or father, or mother, or wife, or children, or lands, for my sake, and the gospel’s, 30 But he shall receive an hundredfold now in this time, houses, and brethren, and sisters, and mothers, and children, and lands, with persecutions; and in the world to come eternal life. 31 But many that are first shall be last; and the last first. Emotional blackmail to enslave you BY APPEALING to your Birth cord is still a common tactic of demon possessed unchristian persons..YES THAT the is hard to face the reality that the people you loved the most can be such great unrepentant sinners..
it is a family demon in them doing the same thing… just tell God the truth that you are Cinderella who has wicked step sisters and ask him to deal with it cause you can’t..
Do note this as I was further mediating on your family problems God spoke to me and he God reminded me that there are two great errors Christian people make.. – they put their family, wife and children ahead of God – they try to put their mother and father, brother sister, relatives ahead of God..
Do forget about them all firstly serve God.. God had said to me look after my children and I will look after yours.. the last 23 years now too..
and God reminded me of the story of Joseph, where he Joseph, the symbol of Christ, had to put God first and even to leave his family, father, mother, brothers, sisters behind him.. and great is your reward in heaven for this next too. (Luke 14:26 KJV) If any man come to me, and hate not his father, and mother, and wife, and children, and brethren, and sisters, yea, and his own life also, he cannot be my disciple. 27 And whosoever doth not bear his cross, and come after me, cannot be my disciple. 28 For which of you, intending to build a tower, sitteth not down first, and counteth the cost, whether he have sufficient to finish it? 29 Lest haply, after he hath laid the foundation, and is not able to finish it, all that behold it begin to mock him, 30 Saying, This man began to build, and was not able to finish. 31 Or what king, going to make war against another king, sitteth not down first, and consulteth whether he be able with ten thousand to meet him that cometh against him with twenty thousand? 32 Or else, while the other is yet a great way off, he sendeth an ambassage, and desireth conditions of peace. 33 So likewise, whosoever he be of you that forsaketh not all that he hath, he cannot be my disciple. 34 Salt is good: but if the salt have lost his savour, wherewith shall it be seasoned? 35 It is neither fit for the land, nor yet for the dunghill; but men cast it out. He that hath ears to hear, let him hear. (Luke 21:12 KJV) But before all these, they shall lay their hands on you, and persecute you, delivering you up to the synagogues, and into prisons, being brought before kings and rulers for my name’s sake. 13 And it shall turn to you for a testimony. 14 Settle it therefore in your hearts, not to meditate before what ye shall answer: 15 For I will give you a mouth and wisdom, which all your adversaries shall not be able to gainsay nor resist. 16 And ye shall be betrayed both by parents, and brethren, and kinsfolks, and friends; and some of you shall they cause to be put to death. 17 And ye shall be hated of all men for my name’s sake. 18 But there shall not an hair of your head perish. 19 In your patience possess ye your souls. 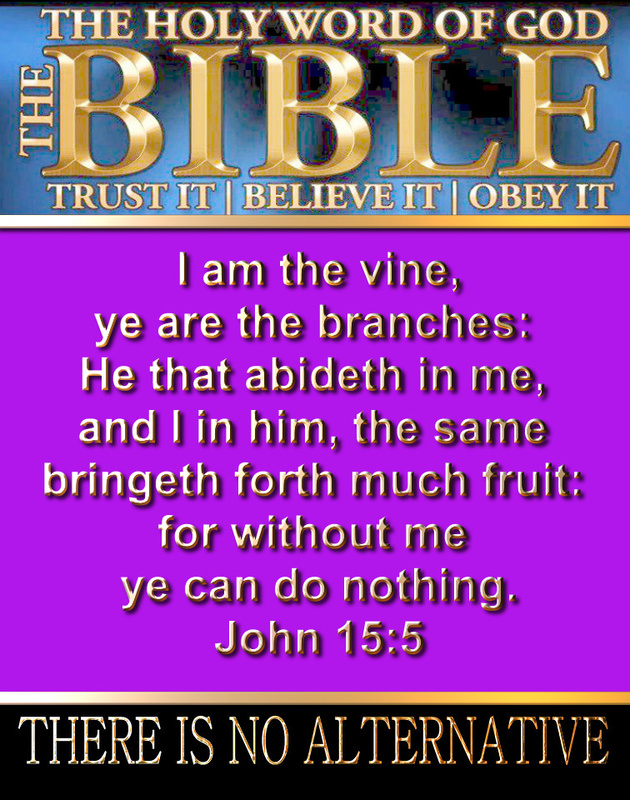 (John 15:20 KJV) Remember the word that I said unto you, The servant is not greater than his lord. If they have persecuted me, they will also persecute you; if they have kept my saying, they will keep yours also. (John 16:1 KJV) These things have I spoken unto you, that ye should not be offended. 2 They shall put you out of the synagogues: yea, the time cometh, that whosoever killeth you will think that he doeth God service.3 And these things will they do unto you, because they have not known the Father, nor me. Leave your enemies gladly at any time.. only pray for them only. The People who wrongfully do abuse us verbally or physical are wrongfully trying to enslave us, have control over us.. and they will try to cause us to go crazy mentally cause they now are demonically led and that Is Jesus own words to me..
(Mat 6:7 KJV) But when ye pray, use not vain repetitions, as the heathen do: for they think that they shall be heard for their much speaking. Luke 11: 2 And he said unto them, When ye pray, say, Our Father which art in heaven, Hallowed be thy name. Thy kingdom come. Thy will be done, as in heaven, so in earth. But we all still do have to listen for the voice of the Holy Spirit, the Word of God, to hear. Personal Humbleness is one of the basic prerequisite to allow God to personally speak to us. I know that many persons now tend to limit, cripple how God can speak to them, as only being through the Mind, through the Bible, only through others, or through circumstances.. well I also know that the devil can speak to you and me that way now too.. or he devil can send you a supposedly wise person telling you what you should do , what to do. and often rather making it a lot worse. We also cannot just perform a miracle any time we want, nor can we just claim any Bible verse for us, for God is always sovereign, in charge, not us.. We need his permission first to do anything still. Prayer and fasting for deliverance though it is needed still it will not work if there is unrepentant sins in your life, and if you are disobeying God’s word, will for you now too. WE VALID CHRISTIANS DO BASE THE VALID DOCTRINES ON THE NEW TESTAMENT SUBSTANTIATION BY JESUS OR THE APOSTLES, NOT JUST ON THE OLD TESTAMENT REFERENCES..
As I also daily do read the Bible, it often surprises me how many so called Christians do even hold theological views that are in direct conflict of the Bible, that are unproved in the Bible even in regard to so many topics now too.. All cause they too occasionally even rather do prefer to listen to the too often out of context, distorted verses out of the Bible quoted by the bad preachers instead of reading the Bible themselves. In reality even these days many Christians SADLY themselves have never studied what the Bible actually says about these God given, Holy Spirit equipped, gifted men, offices to the Christian Church Universal by God, so they too are ignorant, they do not know, they are even confused about the role that they all should play today in Christ’s Church. Because they often wrongfully leave it to others to read the Bible for them too they thus are too easily deceived by the imposters, cults, sects, wolves in sheep clothing, false teachers, false prophets, false elders too. (1 Cor 10:21 KJV) Ye cannot drink the cup of the Lord, and the cup of devils: ye cannot be partakers of the Lord’s table, and of the table of devils. (2 Cor 13:1 KJV) In the mouth of two or three witnesses shall every word be established. I also still very tired of false preachers taking isolated words of the Bible and trying to build a major doctrine, lifestyle around it.. even those who say there is “power in our words”. The power is not in our words, not at all, the power is always ONLY in God’s words and what God says will happen if we follow after God’s Word or what will happen to us by God’s power if we reject God’s word to us. Man too often tries to make himself the center of attention, to exaggerate his self importance and his capabilities.. without God we are nothing and always will be nothing. (2 Cor 4:7 KJV) But we have this treasure in earthen vessels, that the excellency of the power may be of God, and not of us. Sadly life is not what is is often made out to be.. it is not fun, games, romance, adventures in reality.. it in reality is often pitiful, depressing. obnoxious, pathetic! Why is life so hard.. sin and it’s side effects are a constant reality upon us all… all. When you are young, mostly ignorant of what life is really like.. you think you are going to live forever, and life is a bright, shining road ahead of you.. but as real life hits you, you hopefully do eventually get to know the truth, that this road is the road to hell, death, pain, sufferings.. and here some people are really lucky they do next still experience God’s love, forgiveness for all of their wrong doings.. 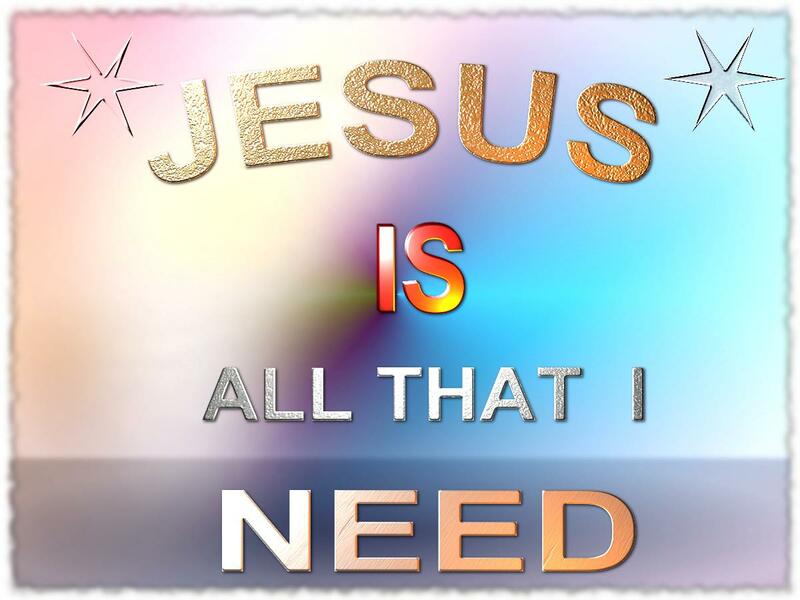 The Lord Jesus Christ is all you really need to help you to service happily too in life.. you can trust him to meet all of your needs. God personally knows all about us from the day of our birth till the day of our birth. God knows what we are like, what our heart is like now too, what we are facing, what we are doing. He God can be trusted to look after us at all times. There is no limit to God’s kindness, goodness, love, mercy and towards us, if we approach him humbly, and broken hearted. God is not mocked what a persons sows he will reap, bot the good and the bad, on earth now too. If we are too quick to perceive the supposed blemishes, sins, errors, faults in others, the probability is that we are conscious of them cause they exit likely firstly still even in a greater quantity in ourselves. This truth ought to make us exceedingly careful in our open judgments of others and exceedingly modest in our condemnations, for we really are telling the world our own faults. It is wiser, as well as more in accordance with the spirit of Christ, for us to find lovely things even in others, and to be silently praying regarding their faults. Most of my nieghbours are too often fighting with each other, and they come to me and all tell me the other persons’ faults but they really cannot see their own.. sad. The best thing I do is to stop talking to them..
At any point in our Christian life we can decide to turn back, to choose the things of the world rather than the things of God and heaven. 50 percent of all of the once loudly professing Christians I know eventually do fall away from the Lord, deliberately chose not to follow after him anymore, mainly cause they have a desire to get rich or to experience more of the pleasure of this world..
(Luke 17:32 KJV) Remember Lot’s wife. 33 Whosoever shall seek to save his life shall lose it; and whosoever shall lose his life shall preserve it. (1 John 2:15 KJV) Love not the world, neither the things that are in the world. If any man love the world, the love of the Father is not in him.16 For all that is in the world, the lust of the flesh, and the lust of the eyes, and the pride of life, is not of the Father, but is of the world. ESCAPISM, THE STUDY OF NEWS EVENTS RELATED SUPPOSEDLY TO END TIME PROPHECIES IS MOSTLY USELESS STILL AND IS A FALSE ATTEMPT GENERALLY TO GLORIFY THE DEVIL, ANTICHRIST. SELF AND TO TAKE YOUR EYES OFF OF JESUS, TO DISTRACT YOU FROM SERVING HIM TODAY.End time prophecies, conclusions based on selective interpretations of Biblical language have plagued humanity since early Christianity. In real life yes there are much too many false prophets, self serving liars, spin doctors that we all do need to look out for, and not just the bad car salesmen or the bad car mechanics. ; YES you do know that in the daily real life now there are a major amount of significant portion of people in the population that that are unacceptable major liars, OR EVEN PERSONS WHO HAVE A HIDDEN AGENDA, sometimes not that well hidden, and that often now even includes ; HUSBANDS, HOUSEWIVES, too many politicians , business persons, professionals even such as pastors nurses, doctors, cops, civil servants, too many of those who do make a claim they are here to serve you when in fact the are basically still self serving, looking mainly after number one and that is themselves. The New Testament Bible does not contain any prophecy concerning Israel today, except that she will continue to “fall by the edge of the sword, and shall be led away captive into all nations: and Jerusalem shall be trodden down of the Gentiles, until the times of the Gentiles be fulfilled” (Luke 21:24). Now also natural Israel STILL has no longer any standing before God, or any part in His future purposes. The New Testament Scriptures makes that point now perfectly clear too. It is naturally impossible for Judaism, Islam and Christianity to be considered as all acceptable as they are very different.. Even Judaism is now dead to God.Luke 13:35 Behold, your house is left unto you desolate: and verily I say unto you, Ye shall not see me, until the time come when ye shall say, Blessed is he that cometh in the name of the Lord. Acts 1:20 For it is written in the book of Psalms, Let his habitation be desolate, and let no man dwell therein: and his bishoprick let another take. 2 Timothy 2: 15 Study to shew thyself approved unto God, a workman that needeth not to be ashamed, rightly dividing the word of truth. I can understand that many Jews even these days tend to lie, cover-up their wrong doings, falsely justify their wrong actions, falsely claim to be the chosen ones too, but how can any decent, moral, Holy Spirit filled Christian persons now can do the same thing and falsely use the Bible to do this.